A law taking effect Friday puts safety before arrests. The law gives limited immunity for certain alcohol-related offenses to people who get help for themselves or another person in need of medical attention. One sponsor of the bill believes it could help prevent alcohol poisoning on college campuses. Rep. Scott Munsterman was a main sponsor of HB 1078. 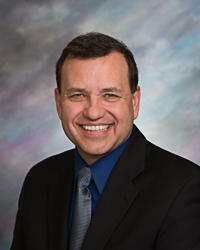 Scott Munsterman is a representative from Brookings County. He says as a lawmaker representing a college community, young adults can find themselves in bad situations— they could be faced with choices that may impact someone’s life. “For instance the situation that this creations, they were out drinking they were underage, something happens to one of their friends, and they’re all the sudden in an ethical dilemma: do they stand by their friend and call an ambulance or bring them somewhere to get help, or do they walk away because they’re scared that they’re going to have to face convictions and those types of things that could change their future,” says Munsterman. After calling for help, the person must remain at the scene until law enforcement or medical personal arrive. Receiving limited immunity means the person is exempt from prosecution limited only to that offense. Munsterman says the bill removes barriers from people helping others. “Really the key is that when people are vulnerable, meaning a life or death type situation, we as a society have to come around to those people and we have to make sure we eliminate anything that would keep us from helping them. Not matter what type of situation transpired to bring them to that stage,” says Munsterman. After failing in the past, the bill was approved almost unanimously during the 2016 session.